Deal between state and Touro Law School to commence with cleanup of Jewish section of former Central Islip Psychiatric Center. Walking out the south door of the newly opened Touro Law School in Central Islip, L.I., in the spring of 2007, Ken Rosenblum came to a rusted fence at the end of the parking lot. Seeing an old mattress and other debris, he started hunting for an opening. Rosenblum, the school’s associate dean for admissions, was searching for a largely forgotten cemetery rumored to be somewhere near the school. Moments later he found a cut in the fence, climbed through, pushed aside overgrown brush, and found himself at the edge of a wide, seemingly empty field. As he walked, he realized he was stepping on graves. Rectangle stones flush with the earth and largely covered over by grass and weeds marked each grave. They bore no names, only numbers. Moments later, he spotted two iron gates filled with vines and an emblem on each: the Star of David. Rosenblum had stumbled upon the potter’s field of the defunct Central Islip State Hospital, later known as the Central Islip Psychiatric Center, containing about 5,500 graves, 500 in the Jewish section. It was closed in 1996, 107 years after the hospital opened. The State Office of Mental Health fenced it off, restricted public access and provided grass mowing and cleanup. That is about to change. Touro faculty members and administrators with support from local community groups, convinced the state to permit them to renovate and reopen the cemetery to visitors — but not for burials — starting with the Jewish section. The agreement is to be announced at a ceremony Sunday, which is to include the burial of sacred Jewish books that were destroyed in Superstorm Sandy, as well as the annual memorial service. “We recite a collective mourner’s Kaddish, say a few other prayers and usually try to give vignettes about people who are buried there,” Rabbi Lerer said. 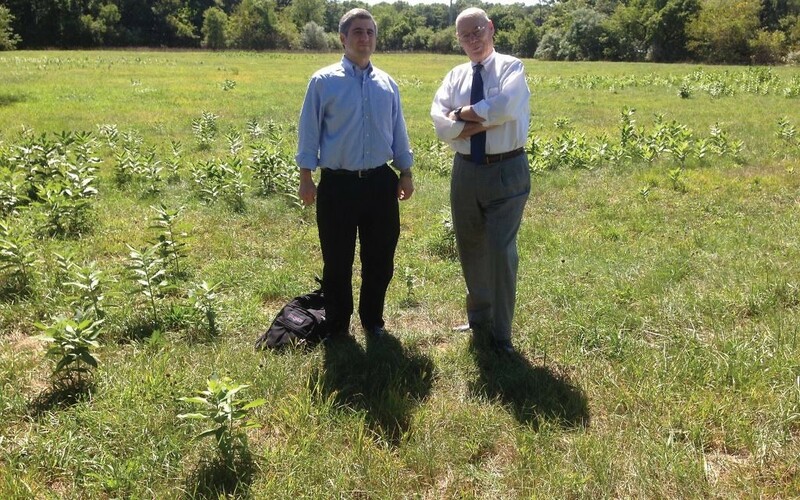 Andrew Schultz, director of the UJA-Federation of New York-funded Community Association for Jewish At-Risk Cemeteries, said that until the state agreement, the Central Islip cemetery was one of about 10 Jewish cemeteries in the state in financial or physical decline. Rosenblum noted that thousands of people pass the Central Islip cemetery each day “having no idea of the history — and tragedy — that lies just beyond the rusted fence.” The cemetery is hidden from public view from the Southern State Parkway, a federal courthouse and the law school. Walking into the Jewish cemetery in 2007, Rosenblum looked down and spotted a grave marker nearly overrun by grass and weeds. After pulling away the growth, he could clearly read a name: Elsie Hanigsberg. There was a Star of David and date of her death in Hebrew and in English — March 1, 1987. The Hebrew letters representing the words, “May the soul be bound up in the bond of eternal life,” were inscribed below the date. When he returned recently, Rosenblum found nestled against the marker a golf ball — one of several later found throughout the area — that were left by intruders who had apparently used these sacred grounds as a driving range. On Feb. 24, 1980, Rabbi Lerer, now the Jewish chaplain at Pilgrim Psychiatric Center in Brentwood, L.I., consecrated the Jewish section of the cemetery. He raised funds for its restoration, installed the gate with the Star of David, and arranged for dignified burials with proper headstones for all future internments. The first burial with a proper headstone occurred in March 1980, and Rabbi Lerer said that he officiated at about 100 such burials until the hospital closed. He noted that since then only one family member has twice requested access to the Jewish cemetery. Schultz said some other “Jewish cemeteries are in rough shape” and that he hopes a conference at the Manhattan offices of UJA-Federation Oct. 17 will “illuminate the problems” and begin to address them. “I hope it will be a watershed event,” he said. John Allen, special assistant to the state’s commissioner of Mental Health, said in an e-mail interview that the partnership with Touro would provide greater access for people to visit relatives or others buried there. 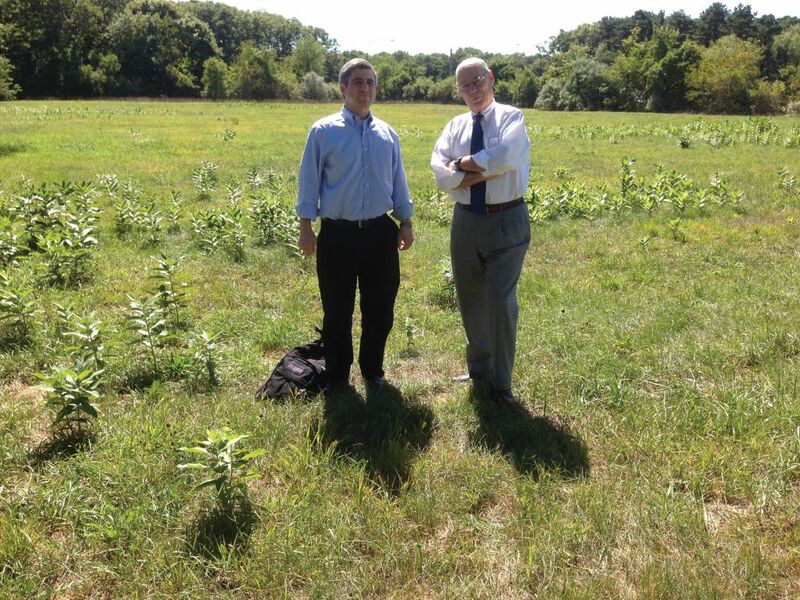 Rosenblum said there are plans for the state to pay for a dignified entrance to the cemetery from the Touro property. In addition, a camera trained on the cemetery is to be mounted on the roof of the law school and monitored by the school’s security staff, a half-dozen benches will be placed in the cemetery, the main driveway will be repaired and there will be some interior improvements. All other improvements would be done by Touro students, faculty and administrators and funded by grants, Touro contributions and fundraising, according to Sam Levine, director of Touro’s Jewish Law Institute. In addition, he said family members and researchers wishing to locate graves should call him at (631) 761-7138 for assistance in contacting state officials with access to cemetery records. He said that in addition to caring for those with psychiatric problems, the state’s psychiatric hospitals have been used over the years for “everything from civil war triage centers to tuberculosis treatment centers.” Thus, the Central Islip cemetery could have been used throughout the years to bury patients from different state facilities. Rosenblum said that when the psychiatric center was shut down, the property was sold to the New York Institute of Technology, a federal courthouse, the Long Island Ducks baseball team, the Touro Law Center, a shopping center and a condominium developer.